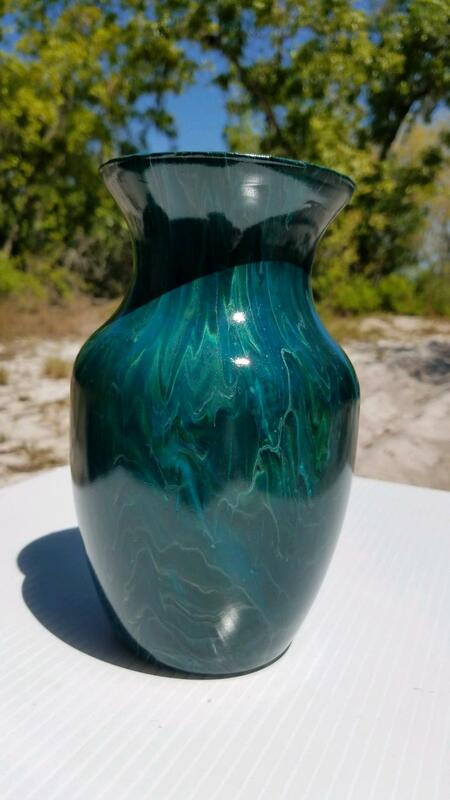 One-of-a-kind acrylic pour glass vase hand painted in beautiful peacock colors. 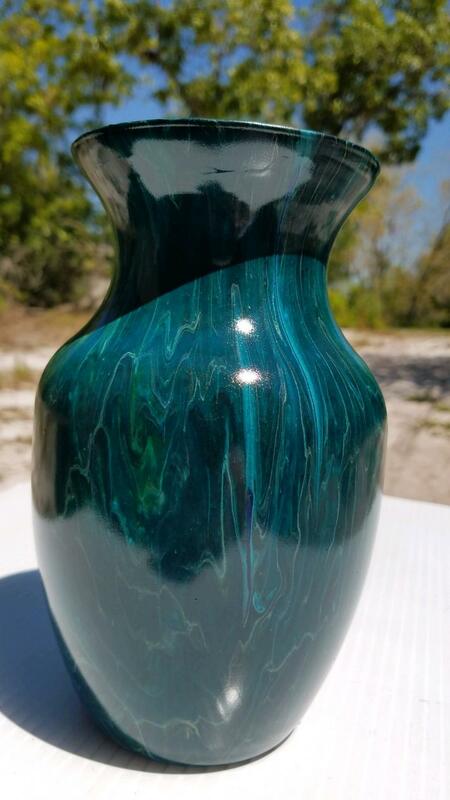 Teal, White, Metallic Gold, Black and Silver sparkle in the sunlight. Coated in a protective enamel on the surface. Hand washable with mild soap and soft cloth.